It's been a big day for Temples, with roster rollouts for both the Sasquatch and Field Trip festivals revealing the English psych crew will be crossing the pond for some outdoor activity this spring. Now, the band have revealed they've booked additional club dates to further promote their Exclaim!-approved 2014 album, Sun Structures. A press release notes that Temples' travels will actually start off in Vancouver, with the group set to play the city's Biltmore Cabaret on May 23. The group had played the same venue last year. After travelling down to George, WA, for the Sasquatch Festival, they'll make their way through a handful of U.S. clubs. As previously reported, they'll play Toronto's Field Trip on June 7, and will then close out their 12-show tour June 11 at Bonnaroo. 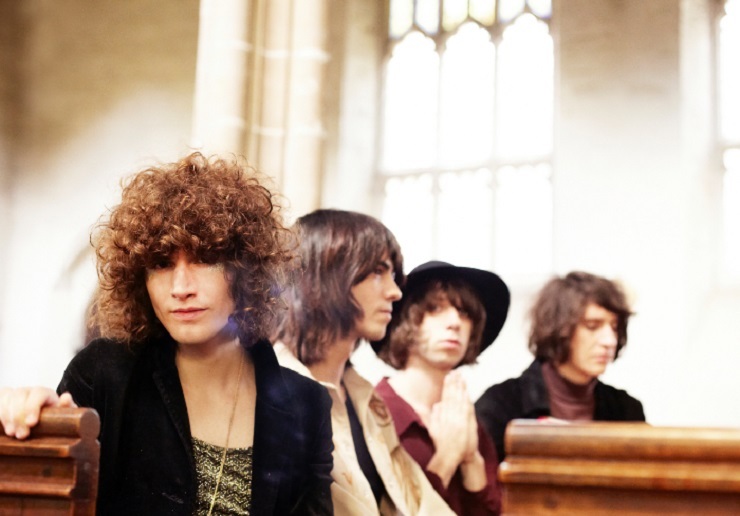 You'll get the lowdown on Temples newly constructed tour schedule down below.